Wow, what a great men’s grooming product line. These pomades are great! 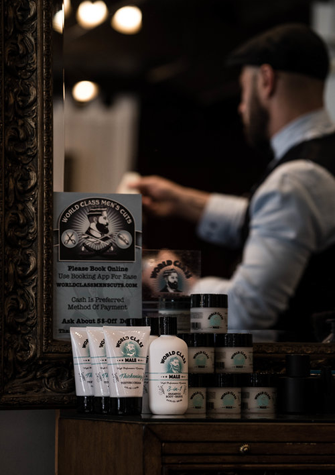 Unlike American crew pomade, they have natural ingredients and smell awesome. Made in the USA not China like American Crew Pomade The light , medium and firm hold make my hair look great for different looks I’m trying to achieve with my hair. The 3-in-1 shampoo, body and shave is rich with loads of essential plant botanical extracts. Let me just say my skin feels AMAZING!! After only one use. Love love love these products. So happy with my purchase. The free shipping and 20% discount made it an even better value. I’ll defiantly be using them again and again !